For twelve-year-old Elizabeth Ann Mills, September 21, 1938, began as a fairly normal day. Around Elizabeth’s home at Westport Harbor, just down the shore from the lifesaving station, the winds were high and people were preparing for a storm, but most were not too worried. However, by late afternoon the storm surge was reaching dangerous levels. Elizabeth saw the wind and water sweep the house next door away and across the street, and soon after, the elements burst into her own home. Elizabeth and her housekeeper, Mary, decided they needed to leave before their own home met the same fate. They burst out through the garage door and were immediately swept away by waves. 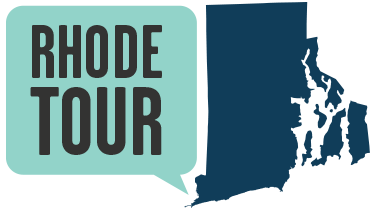 The tide was so extreme that it carried Elizabeth across Westport Harbor all the way to the Acoaxet Golf Club, making her dodge furniture and debris in the waves for over half an hour before depositing her on dry land. Mary, unable to swim, disappeared into the ocean. Elizabeth’s house also did not survive the storm. 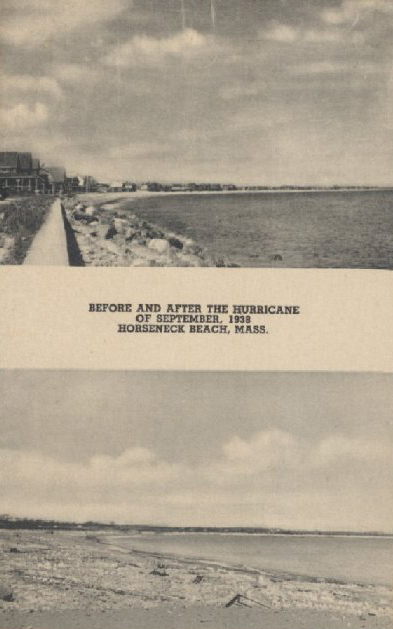 In fact, the Hurricane of ‘38 destroyed almost every building on East Beach and Horseneck Beach. Only three structures survived intact. One of these buildings, remaining standing today, is the Horseneck Point Lifesaving Station. 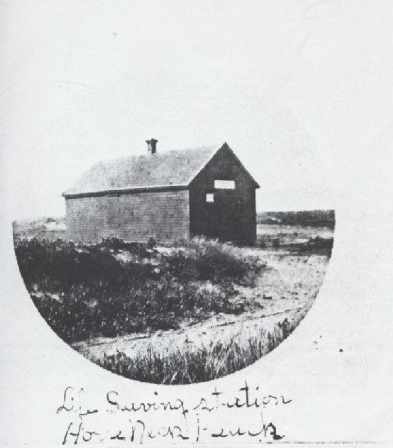 The station was established in 1888 by the Humane Society of Massachusetts as part of a network of lifesaving stations around the coast, built to aid boaters in peril. In that era, systems of navigation were unreliable and ships, mostly powered by sails, were at the mercy of the weather, making shipwrecks a serious problem. 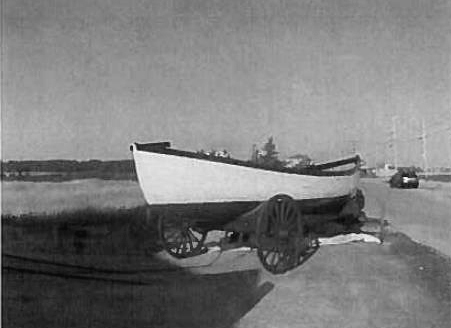 Each lifesaving station was equipped with a lifeboat and other emergency gear, and managed by a keeper who hired and trained a crew for rescues. 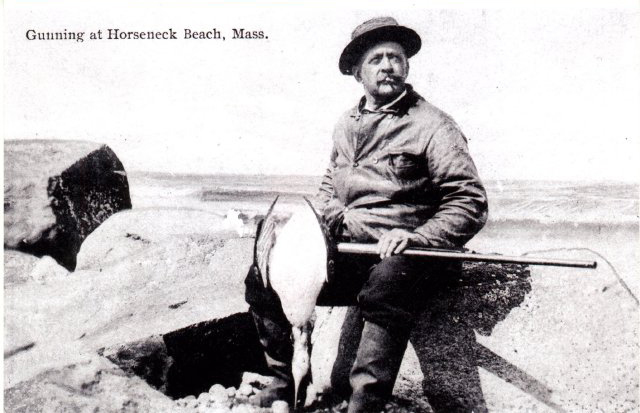 The Horseneck Point Lifesaving Station’s best-remembered keeper was Frederick Burdon “Burt” Head. Burt was an experienced mariner who’d been living on East Beach for years in an old bowling alley he converted into a boarding house. In addition to working as keeper, Burt ran a business guiding and lodging duck hunters. At the height of his business, Burt says he’d host as many as 150 gunners each hunting season, and sometimes shoot up to 86 ducks in a day himself. By the time of the 1938 hurricane, the Horseneck Point Lifesaving Station had been decommissioned and converted into a restaurant that served beachgoers in Westport Harbor’s growing tourism industry. The station’s new owners had built around the original structure, putting up a number of additions to accommodate their business, but throughout the years, the lifesaving station’s original core structure remained intact and withstood the hurricane. 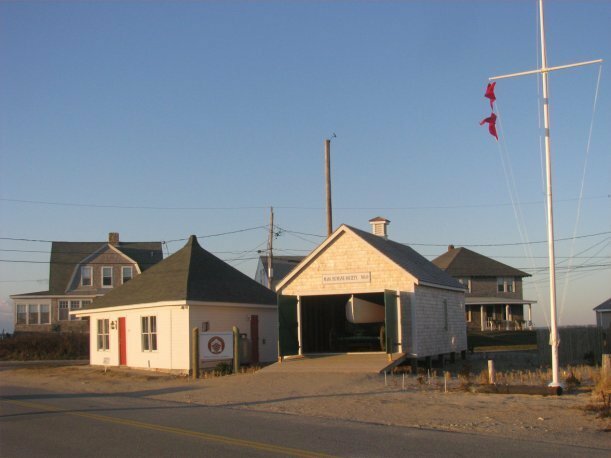 In 2007, the Westport Fishermen’s Association leased the building and restored the lifesaving station to its original appearance and turned it into a museum. Today, the museum houses a replica of an original lifeboat once used at lifesaving stations to rescue distressed sailors, though rarely in weather as bad as the hurricane the station miraculously survived. Lauren Black, “Lifesaving Station,” Rhode Tour, accessed April 21, 2019, http://rhodetour.org/items/show/234. Christopher Gillespie. “Horseneck Point Lifesaving Station.” The Westport Fishermen’s Association, January 2010. “Elizabeth Ann Mills’ Account of Her Experience of the 1938 Hurricane.” Westport Historical Society (blog), January 20, 2009. http://wpthistory.org/2009/01/elizabeth_ann_mills_account_of/. “Horseneck Point Life Saving Station.” Westport Fishermen’s Association (blog). Accessed October 11, 2017. http://westportriver.org/horseneck-point-life-saving-station/. Jenny O’Neill. 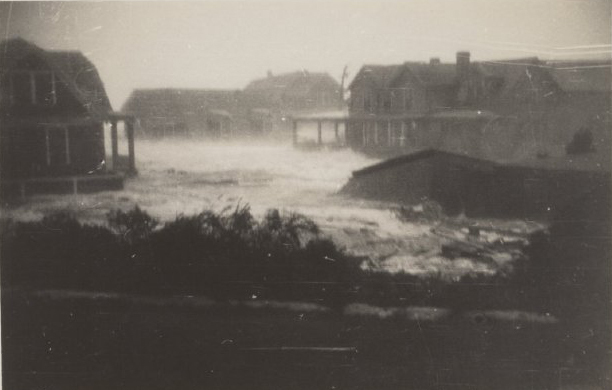 “Horseneck Beach Hurricane of 1938.” Westport Historical Society (blog), January 20, 2009. http://wpthistory.org/2009/01/horseneck_beach_hurricane_of_1/.